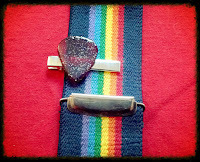 Rock Resurrection Art : More ways to rock guitar pick clips! 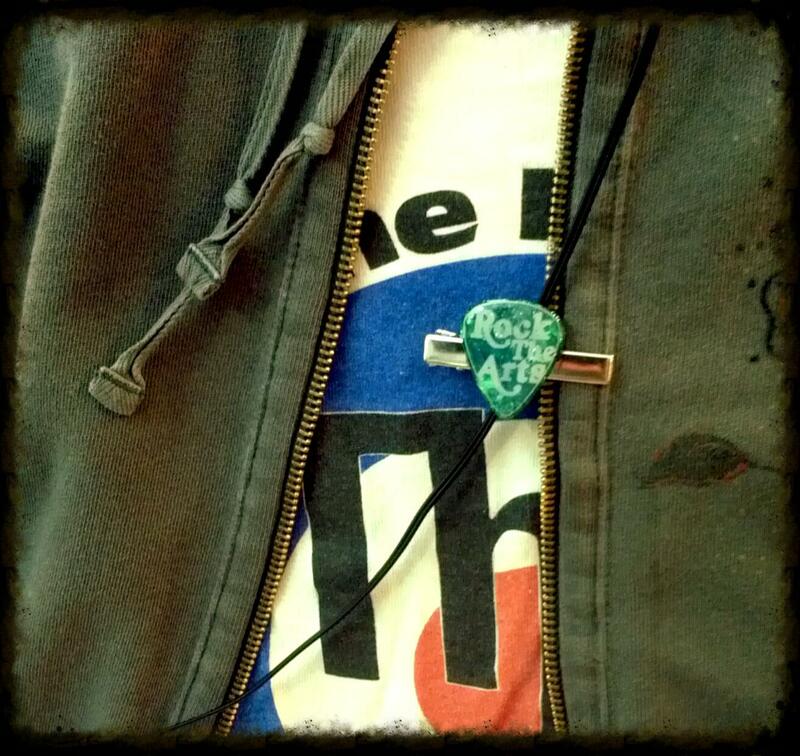 More ways to rock guitar pick clips! 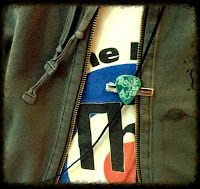 My guitar pick clips (FKA "Tie Clips") are not just for ties! You can also use them to clip your headphone cord to your jacket when listening to music on the go! Fasten the clip to the side of your jacket with your headphone cord to keep it in place! There's just enough space for the cord to slide up and down when you move your head. 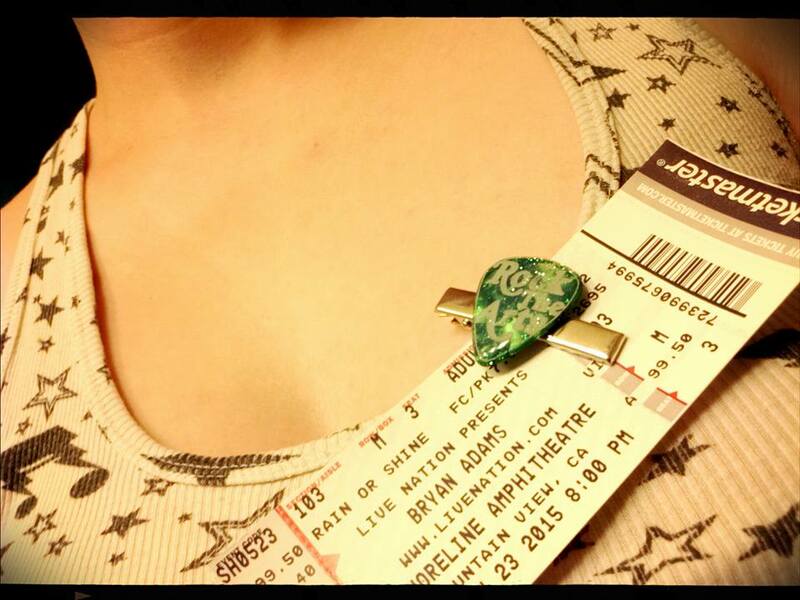 While at a concert, use the clip to keep your ticket displayed like a badge! Affix clip to the collar of your shirt with your ticket while at a concert! It keeps your ticket or pass close at hand and easy to display. Keep your money clipped together! 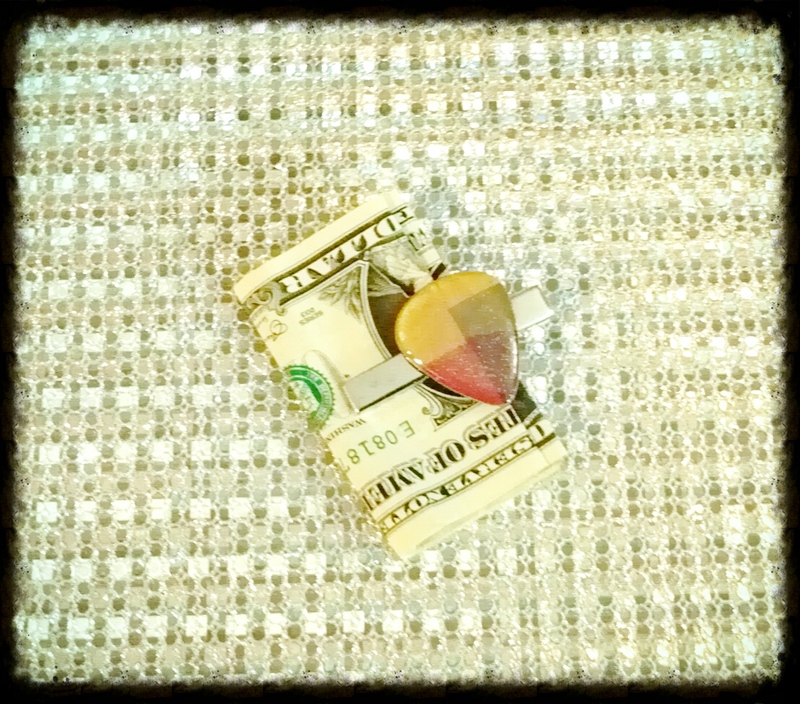 Put the clip around your cash and use it as a money clip! Clip it to your suspenders for some flare! 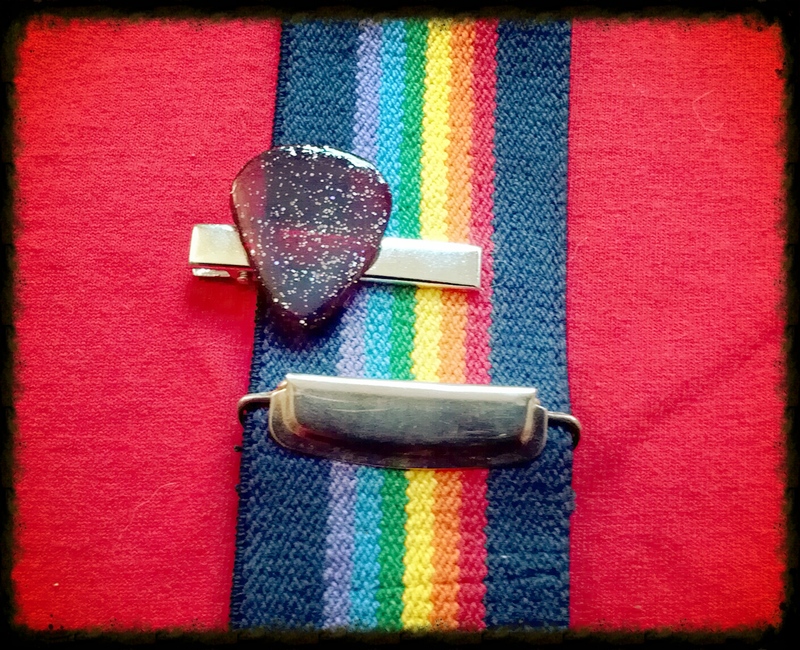 Attach the clip to your suspenders for added cosmic style! 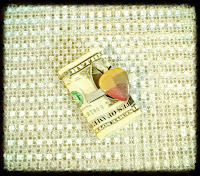 All guitar pick clips can be found here!